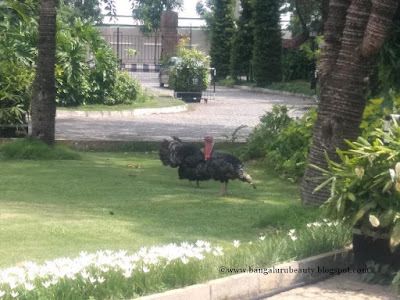 In general, the Turkey bird is strange naturally compare to other birds that we come across. The Turkey birds are hard to see around and it is well known in the USA during November month. 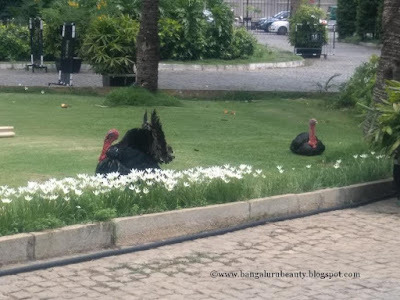 Anyhow, I would like to share few Turkey Bird photos that I came across in one of the reputed star hotels in the city and you can see it. These Turkeys were in the same place where I visited one of the finest hotels in the city. Yes, the hotels landscape was awesome and more beautiful was these Turkey were roaming on the very same landscape.